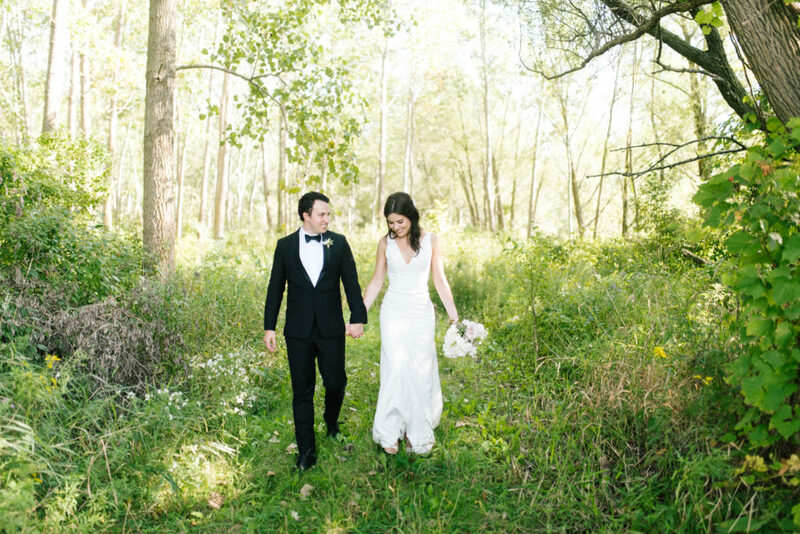 Chloe + David’s Hamilton West Ave Cider wedding took place on a cloudless day last September. 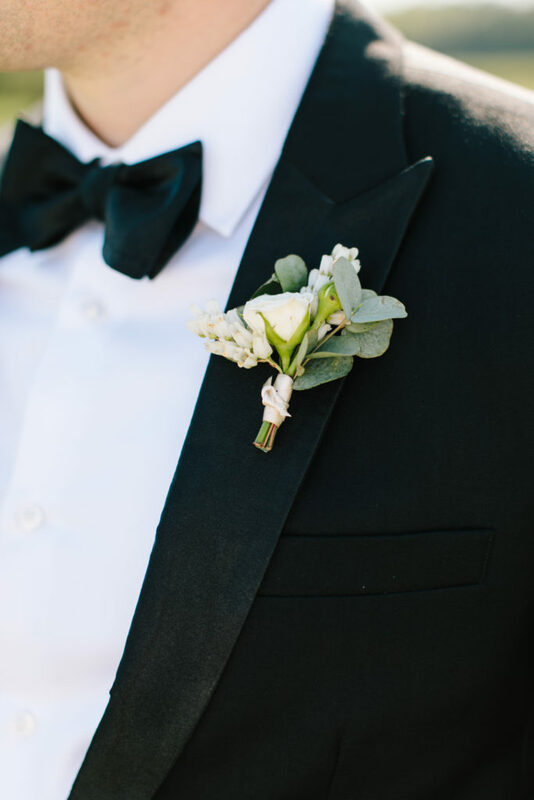 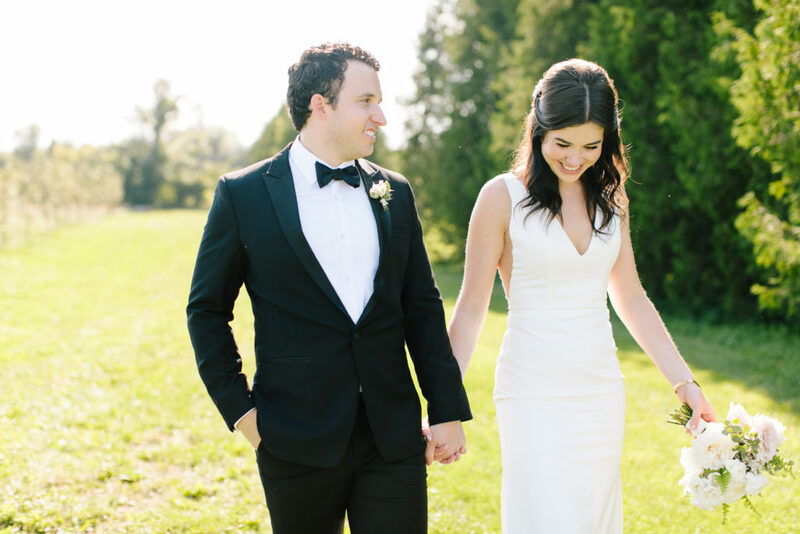 Dressed in a classic tuxedo and chic, modern gown, they both looked spectacular. 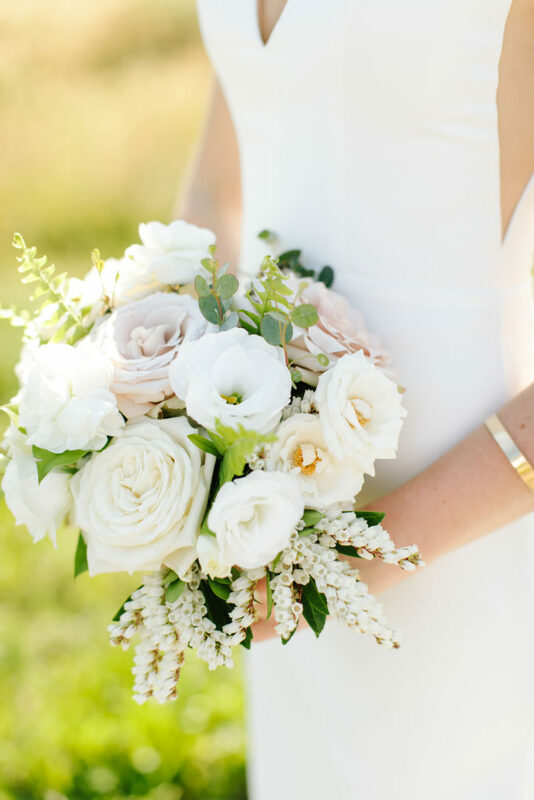 The colour palette and shapes with used were classic and elegant but still gardeny and natural. 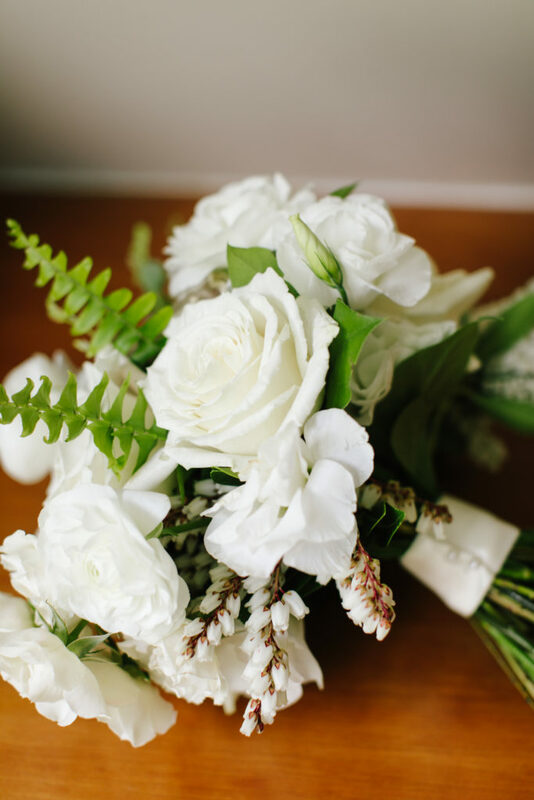 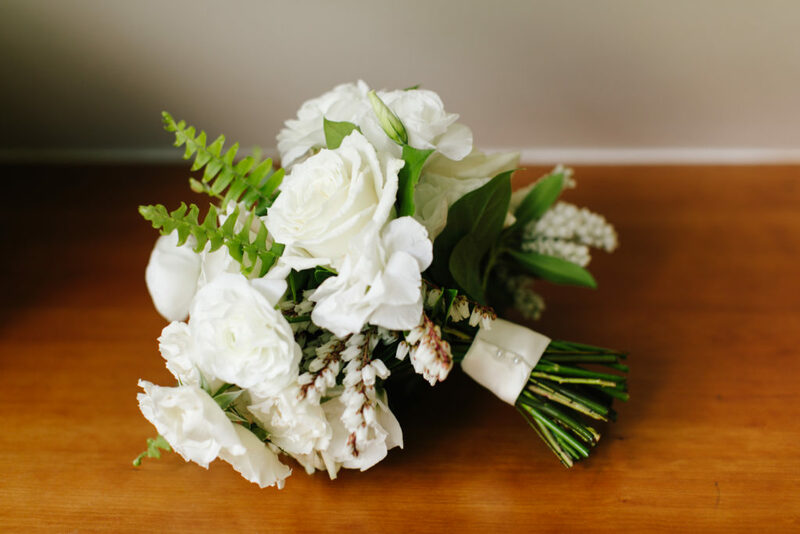 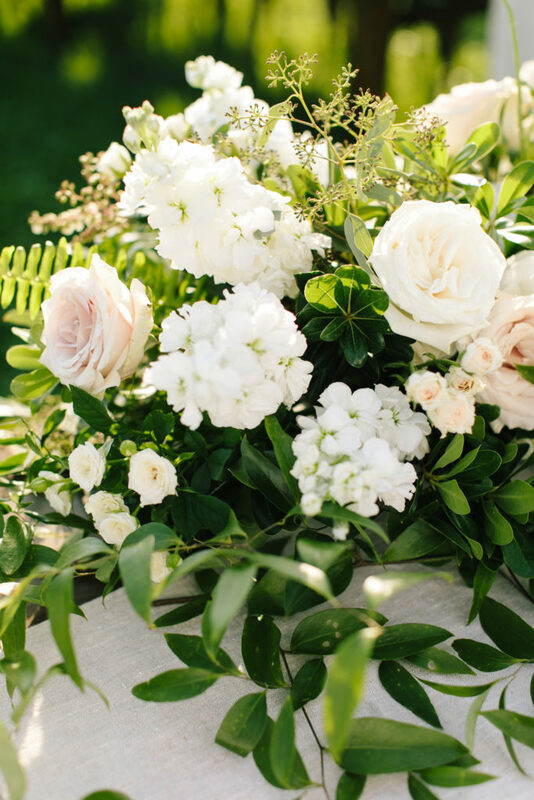 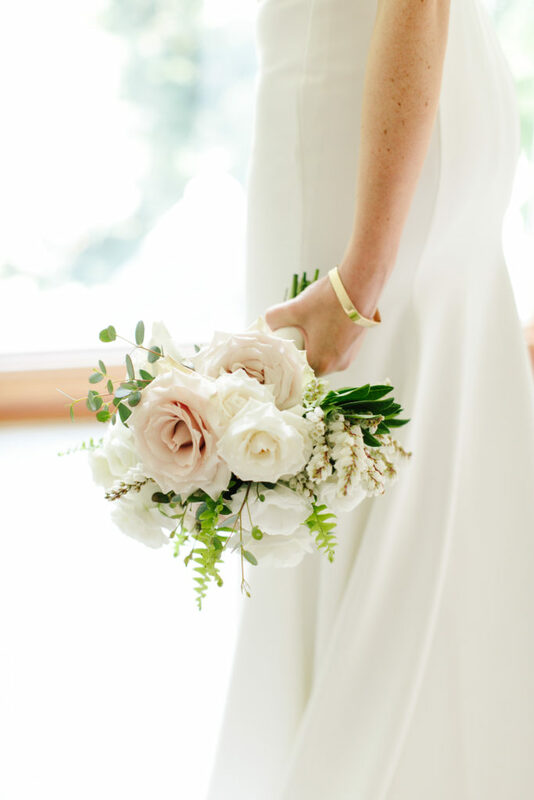 Whites, creams and subtle muted blush played against fresh green ferns and lush, dark green smilax vine. 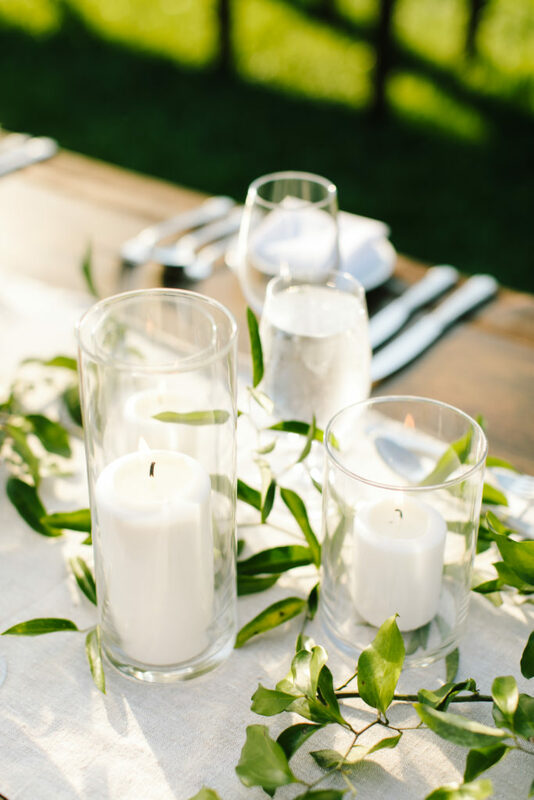 We used smilax vine down the tables to soften the candle focused tablescape. 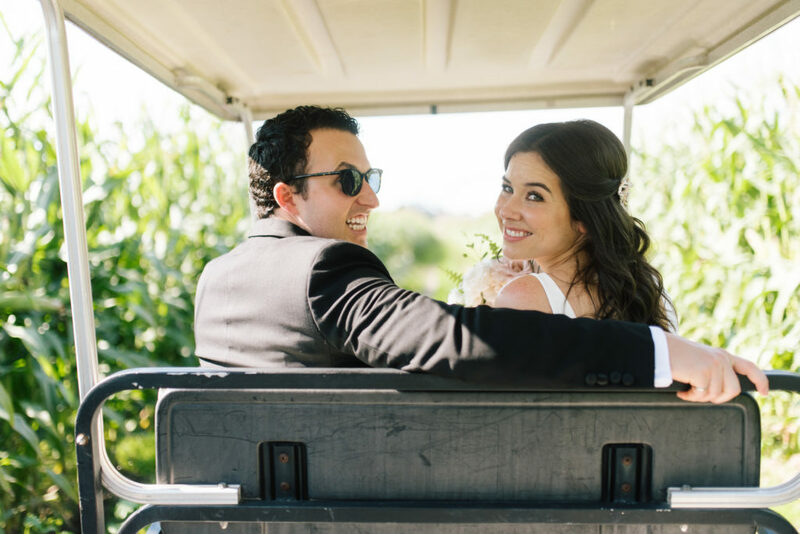 Check out the incredible captures from Mango Studios below! 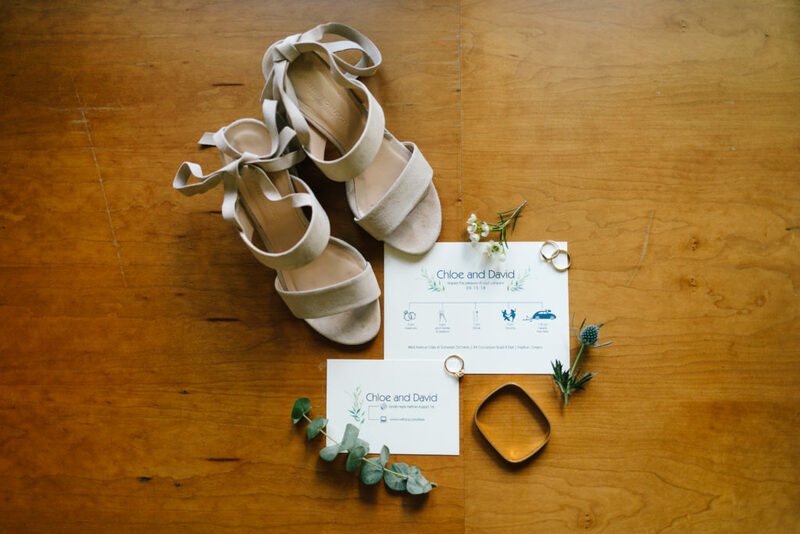 Chloe is one of the most styling brides I’ve ever met in my life. 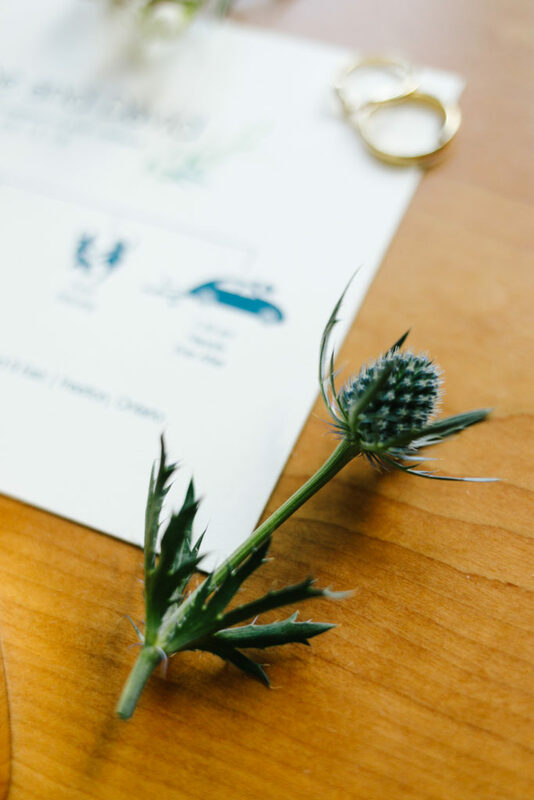 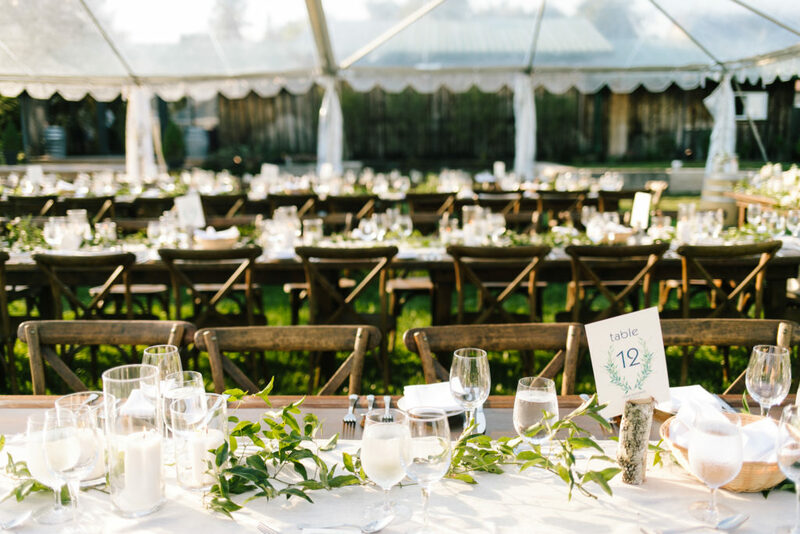 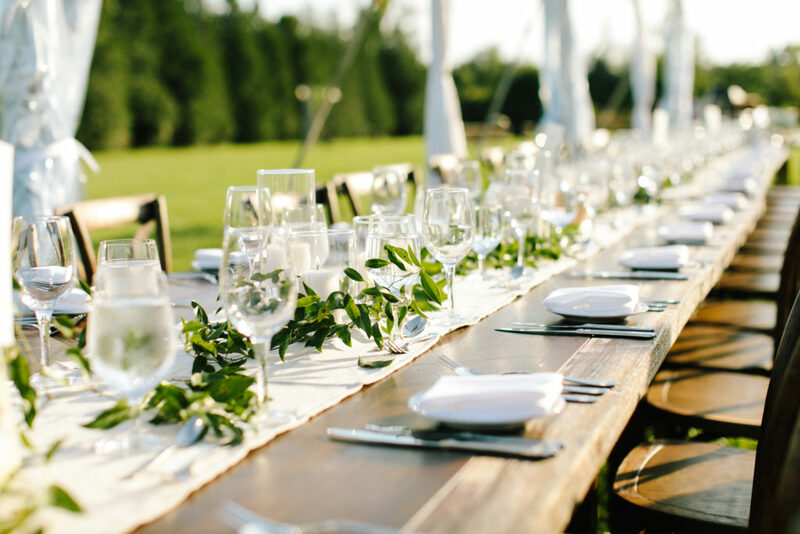 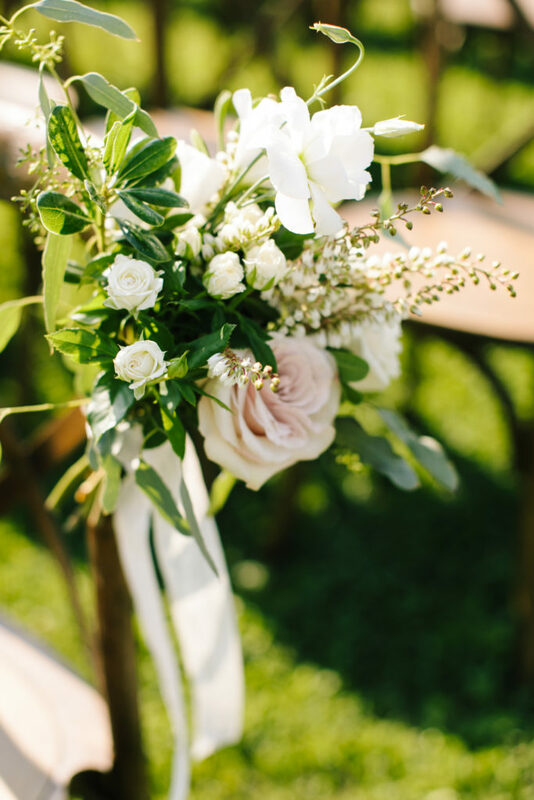 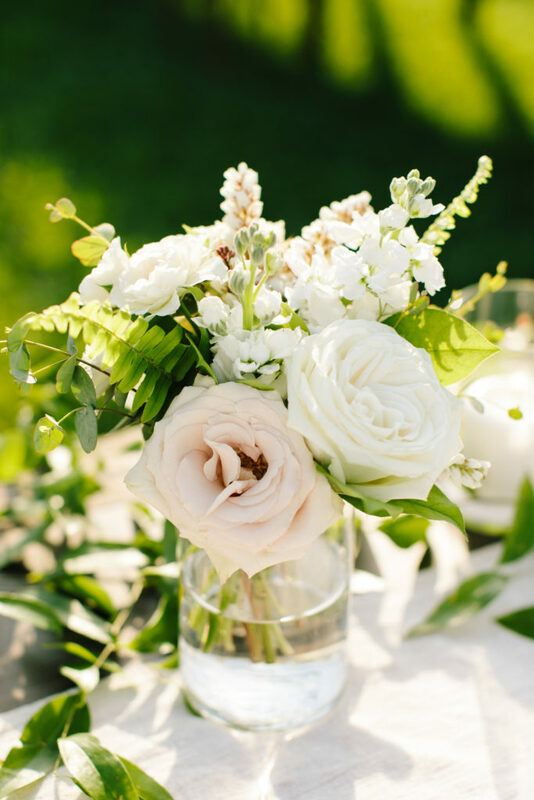 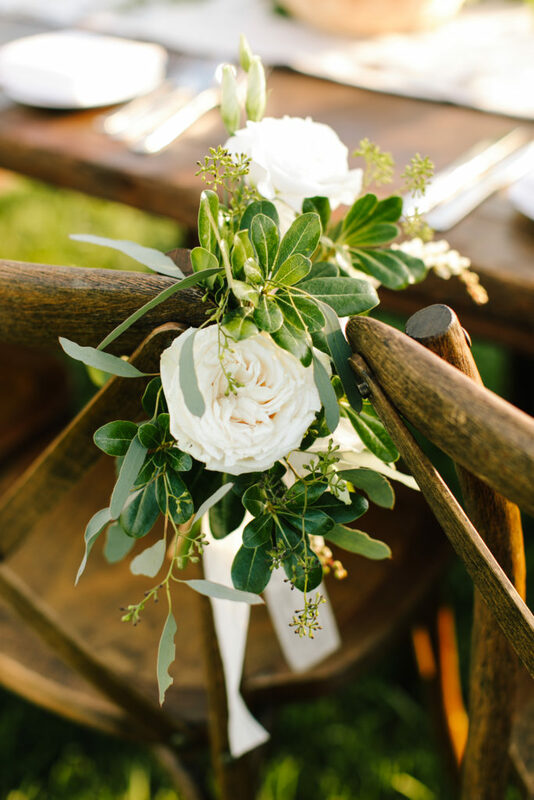 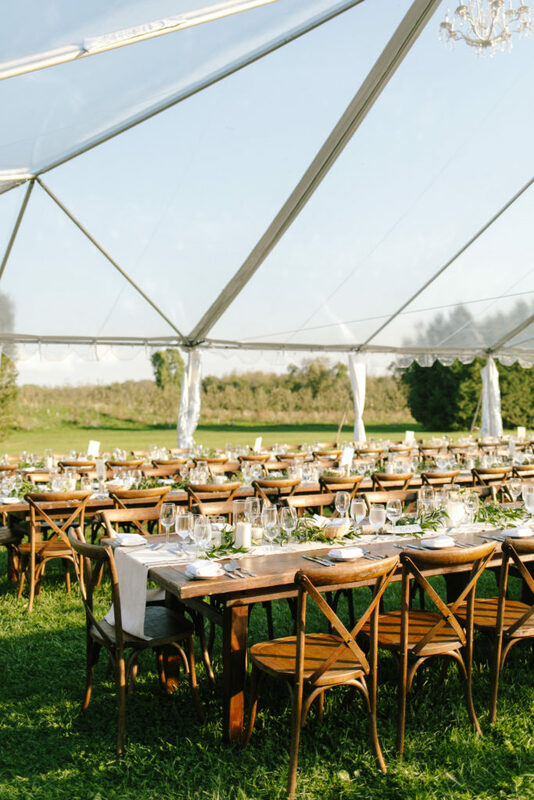 From our first meeting, she knew exactly what vibe they were going for: classic, gardeny, romantic, elegant but totally appropriate for the Cider House venue. 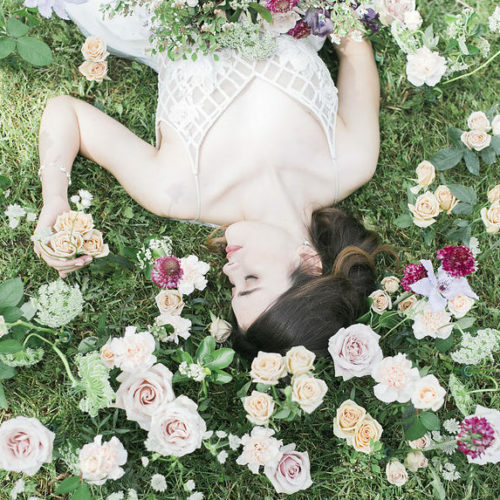 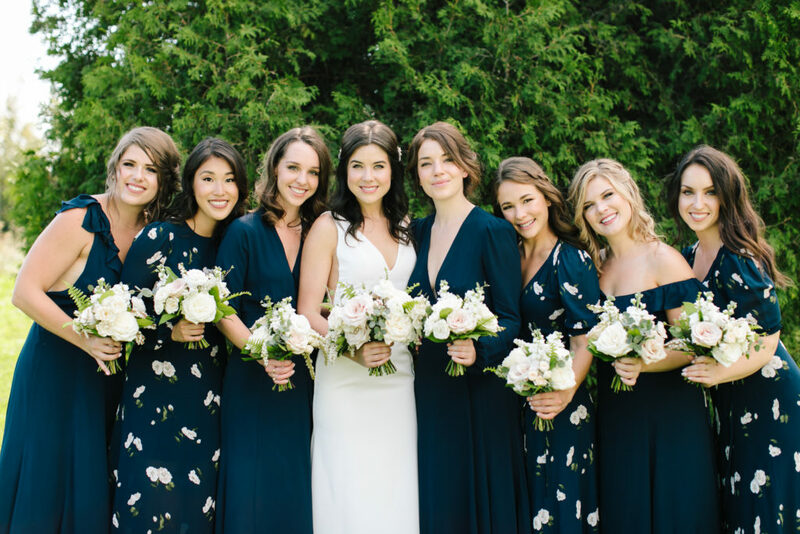 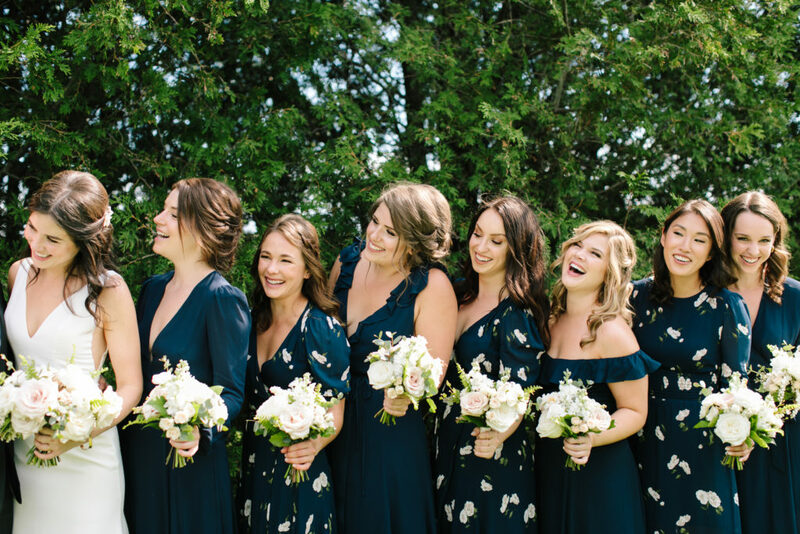 Everything from her modern dress with super clean lines, to the the mixed bridesmaids dresses – some in midnight blue, some with a white/blush floral print, to the assorted pillar candles – everything felt right. 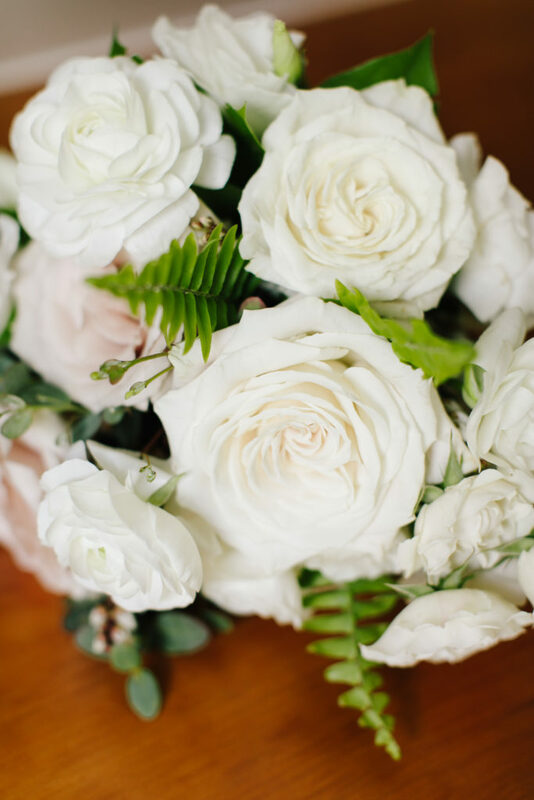 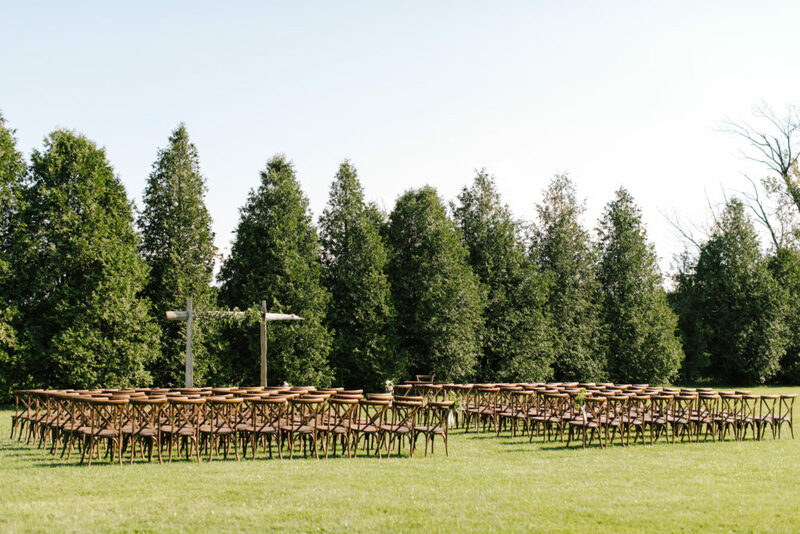 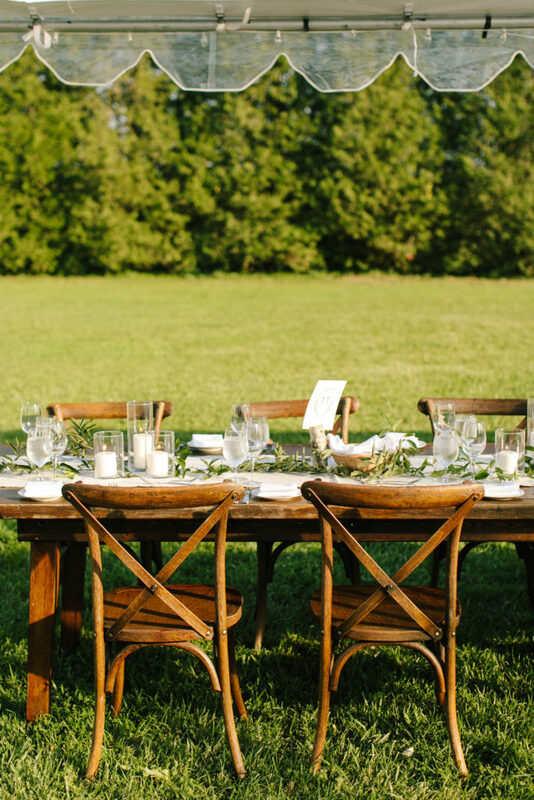 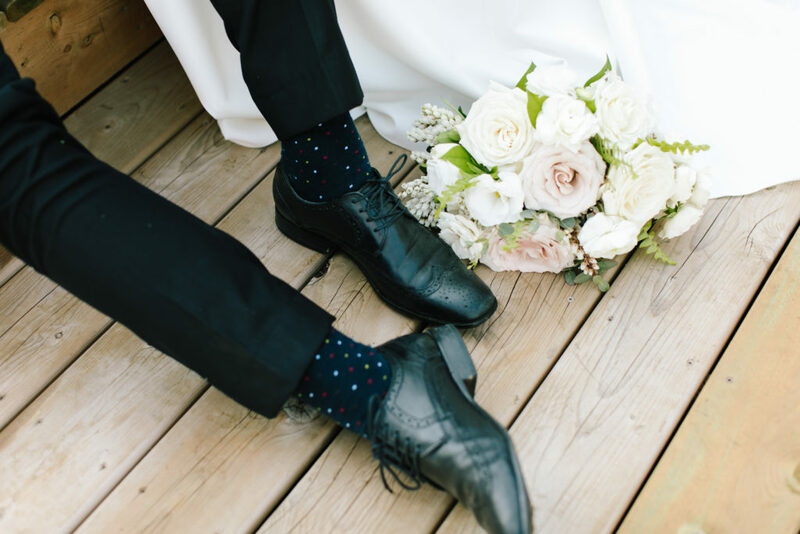 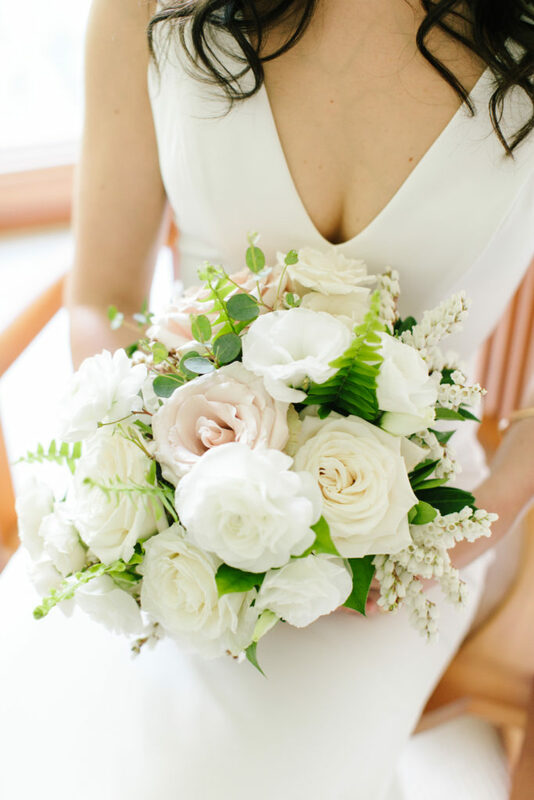 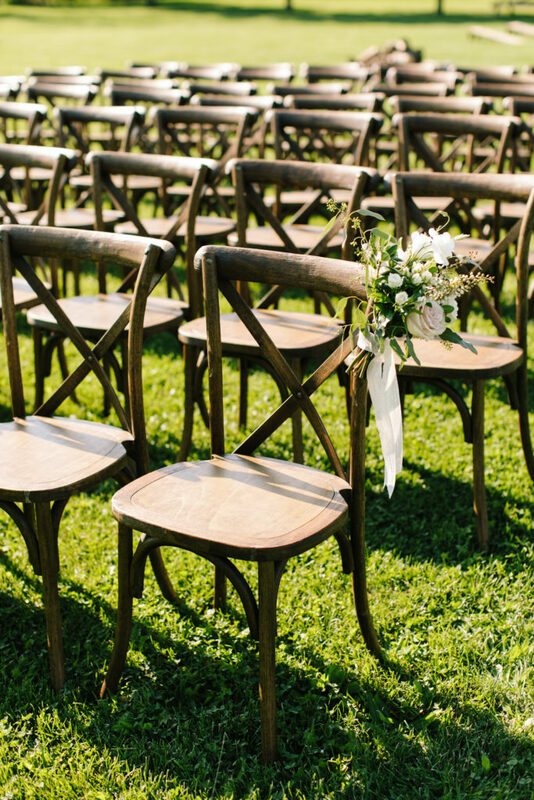 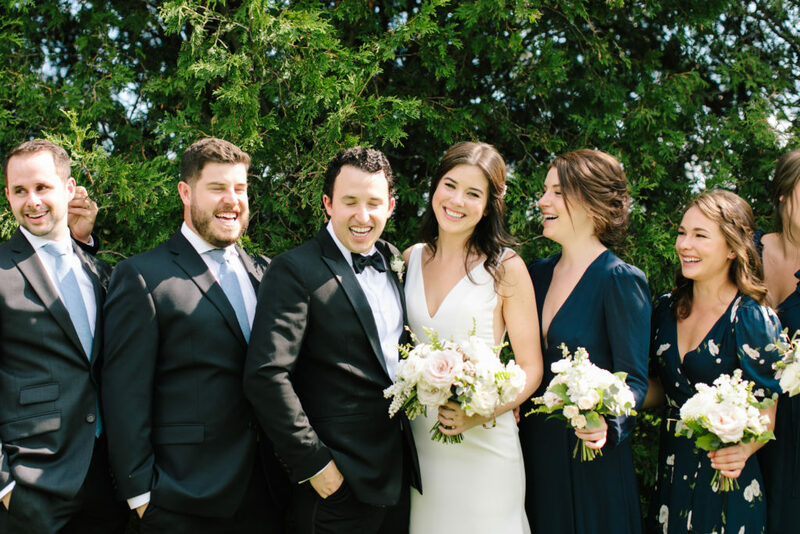 Three cheers for this couple and their effortlessly chic Hamilton West Ave Cider wedding.